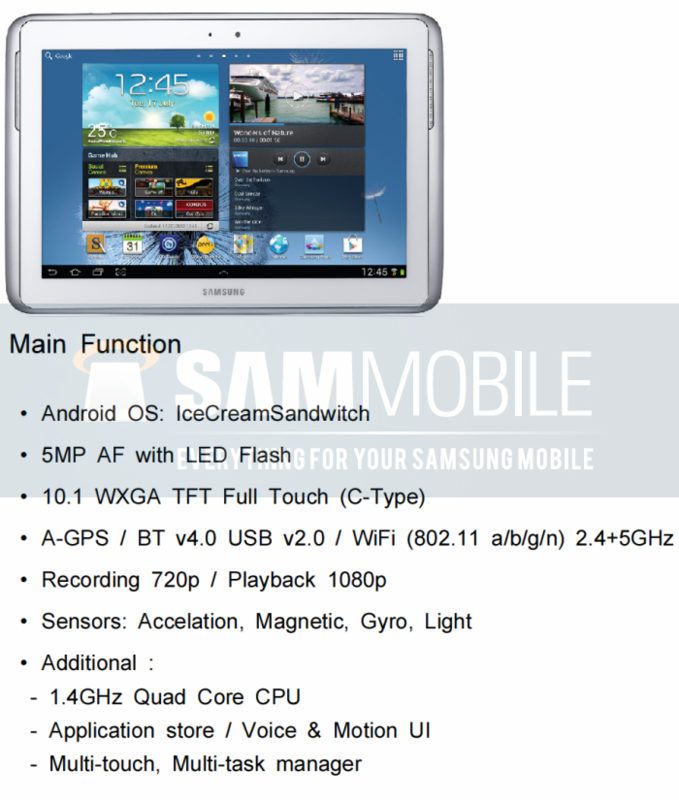 The Galaxy Note 10.1 isn’t out yet but most of its specifications is already leaked. Samsung introduced the Galaxy Note 10.1 at MWC 2012 but decided to re-introduce the tablet because of too low specifications. It looks like Samsung will ship the Galaxy Note 10.1 with Ice Cream Sandwich and will update their new tablet to Android 4.1 Jelly Bean later on. The Galaxy Note 10.1 will use the same processor as the Galaxy S III which is 1.4 Quad-Core processor. More specifications are already leaked out thanks to the leaked box photos and tablet photos. We are not sure if this tablet will sell. The only special thing is the SPEN and processor. We would love to see a better screen in this tablet. Let’s hope Samsung will introduce some better tablets in the future. If you have more information about this tablet feel free top TIP us too. apple wil never and ever to ban this note ten, why? This tab infringe Apple trademarks,a retangular tab with round-courners , Apple will ban this samsung tab. phone function not only with headset. This is for sure. hmm… but maybe they will also present the note 11.6 with much better specs?? You are right about phone function but only with headset. Ive heard from someone “in the know”, note 10.1 will also have phone function. I would buy a Note 7″ if they made one.